Spring has sprung and here we are in the Merry Month of May, Gabriel’s birthday month, and ours, too! It seems that our peripatetic Mr. Byrne is in Ireland and what a perfect place to enjoy this season, yes? 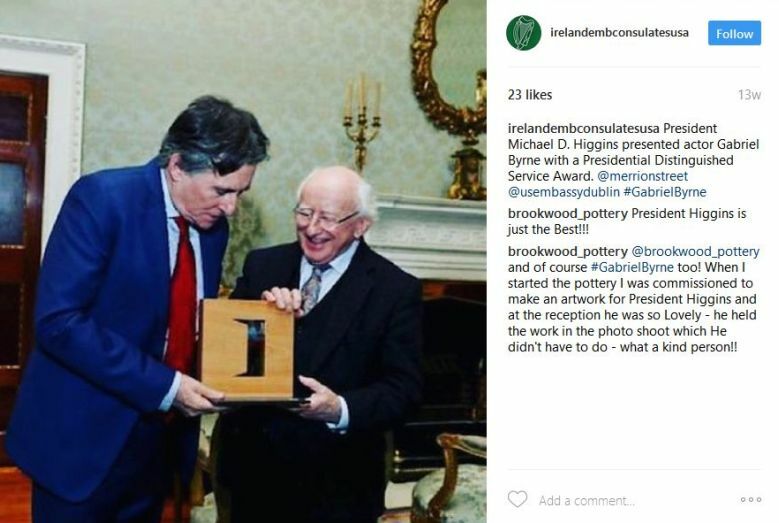 As you know, Gabriel is the proud father of a new baby girl and we expect she is being introduced to the family in Ireland–as well as receiving her official name at a naming ceremony! But all of that is private. 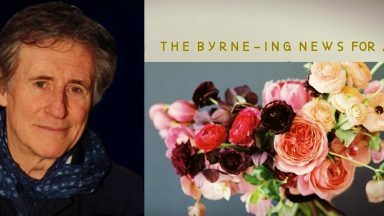 What we know for public consumption is in the Byrne-ing News below, so enjoy the news and be sure to check out Gabriel’s birthday celebration, including his Birthday Card Video! Byrneholics Online was 9 years old on May 12. Where does the time go!? 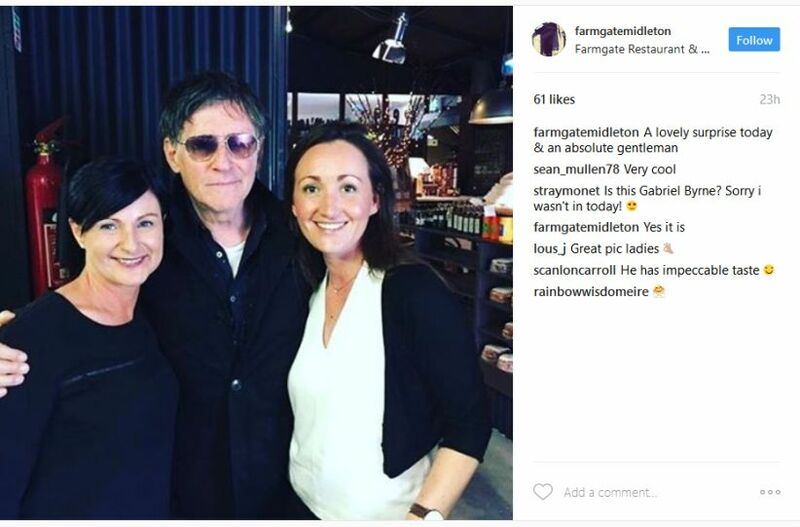 Thanks to Farmgate Restaurant in Midleton, Ireland for sharing this on May 5! Visiting IMDB is often a frustrating experience. There is often no news about the films in production and you end up clicking endlessly, hoping for a tidbit of information…but not this time! 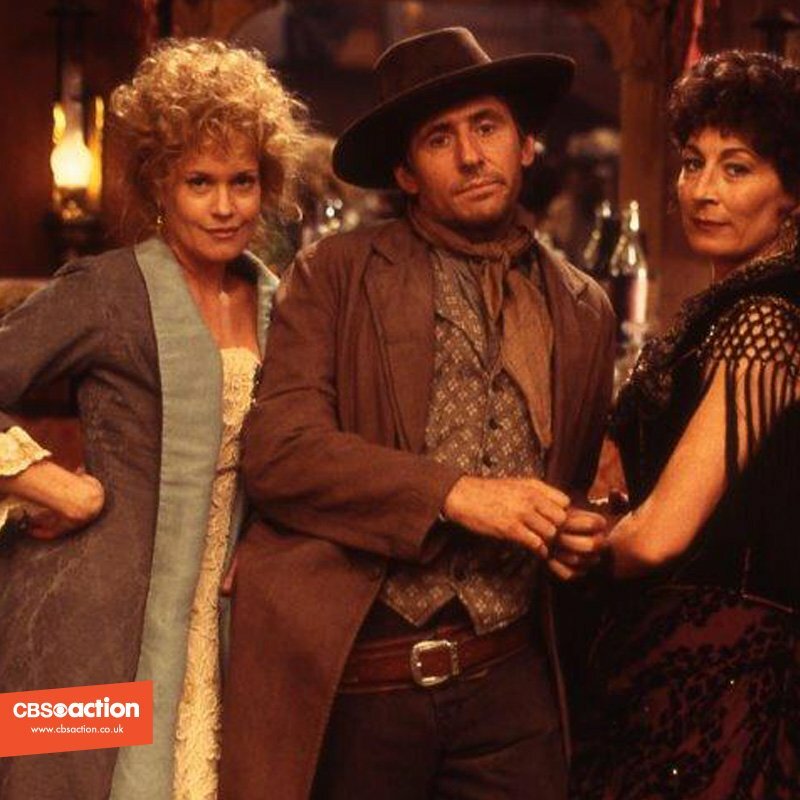 This time, IMDB served it up! 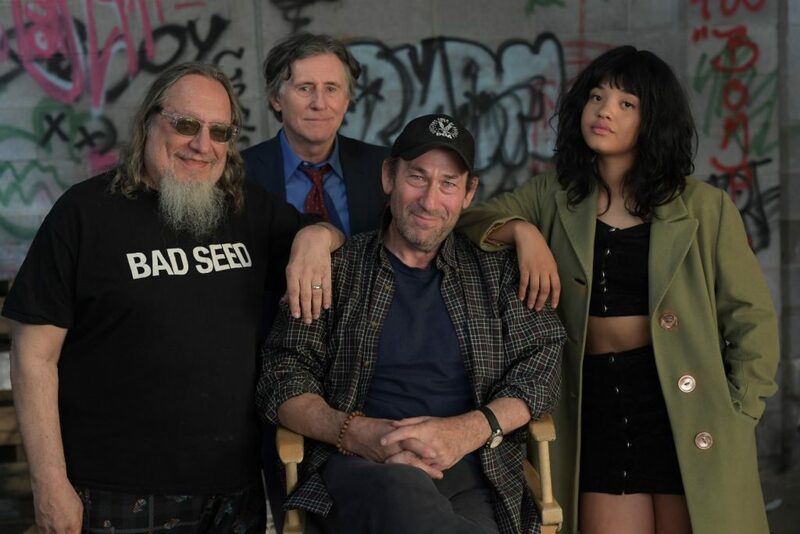 Here is a series of production pics from Gabriel’s new film, An L. A. 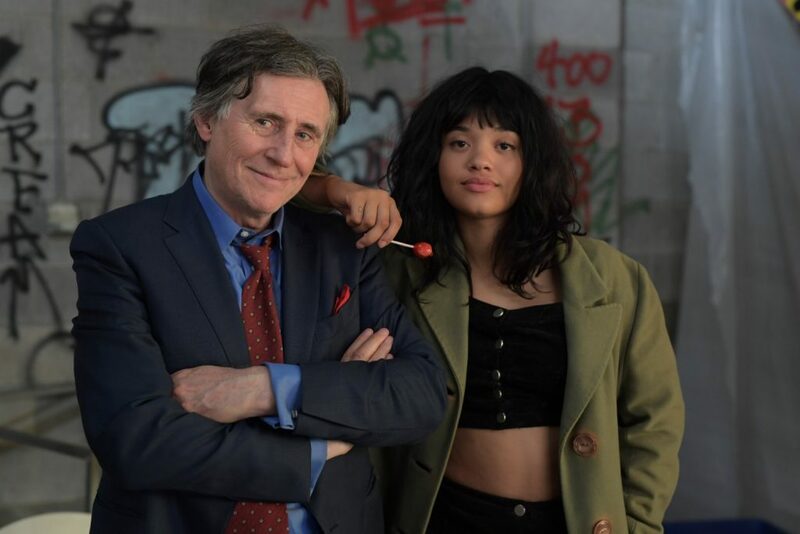 Minute, in which he stars with Kiersey Clemons, a talent who is definitely on the rise. Filming is complete and post-production has begun. Now we will wait for a trailer, more production pics, and a release date! 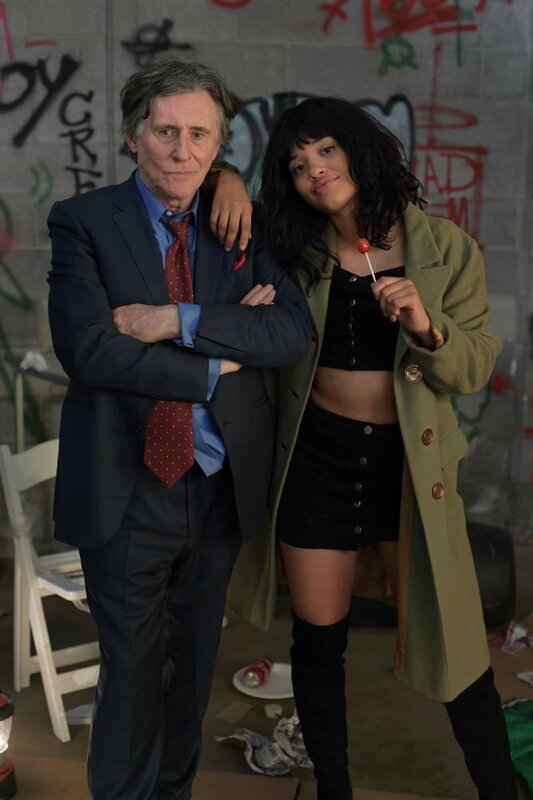 The story sounds perfect for both Gabriel and Kiersey. This is shaping up to be an intriguing film, both topical and intimate. We can’t wait to see it! For more info on the film, visit the Projects Page. This funny and touching film has made its way across the pond to the UK and the reviews just get better and better. 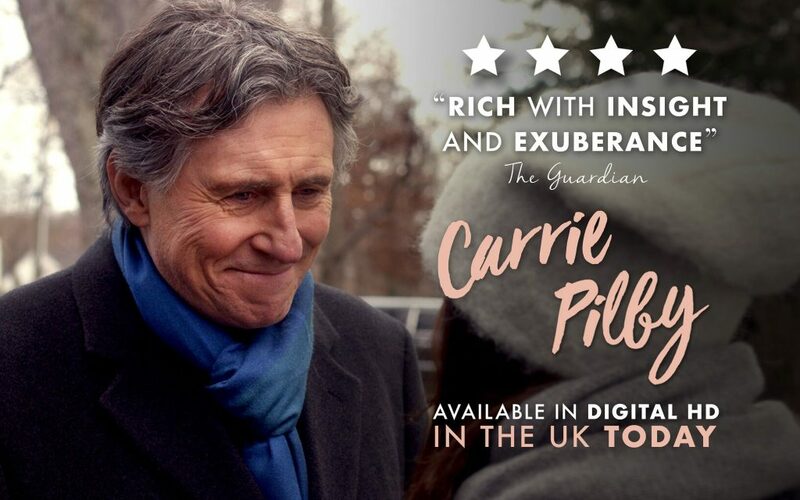 No word yet on a DVD release, but Carrie Pilby is available at Amazon and iTunes. And the lovely book, by Caren Lissner, is definitely worth your time! Kim Haughton is an Irish photographer whose work has appeared in numerous international publications. For the Irish Centennial, she has published a series of 100 portraits of Irish luminaries and citizens. Portrait of a Century is on display at National Museum of Ireland until December 2017, and is presented for the first time in its entirety. Each photograph represents the birth year of the person in it and the series as a whole spans a one hundred year time frame from 1916 to 2015. Read more at Irish World and check out the exhibit! This may have already aired, but it is still worth mentioning because Teddy Blue is always worth mentioning! The takeaway from this news item is: you never know when one of Gabriel’s films or television series is going to pop up on television, so it is always a good idea to keep your eyes open. Gabriel might be on tonight! You never know. Yeah, it’s a tough life, cowboying. Really tough. 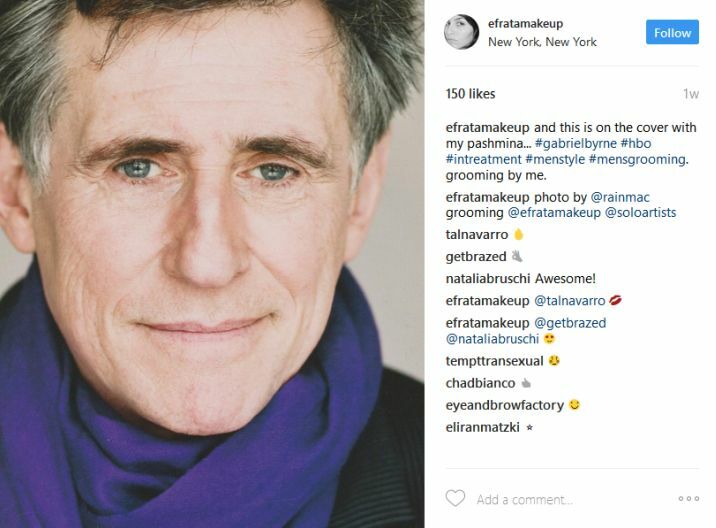 A search for “Gabriel Byrne” in Instagram can lead to all sorts of interesting finds. 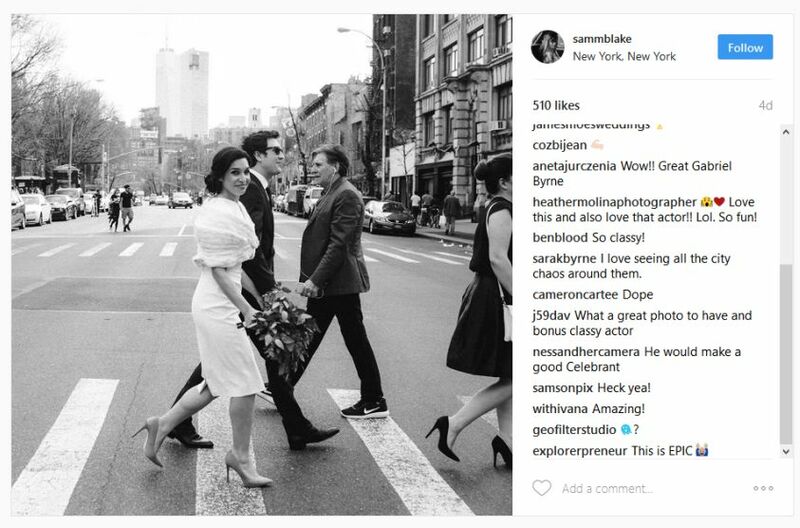 In addition to the usual movie posters, film promo pics, and other ephemera of his working life, the occasional behind-the-scenes image or candid-on-the-street pic can also be discovered. Here are some recent finds, proof that puttering on the Internet late at night can be productive! 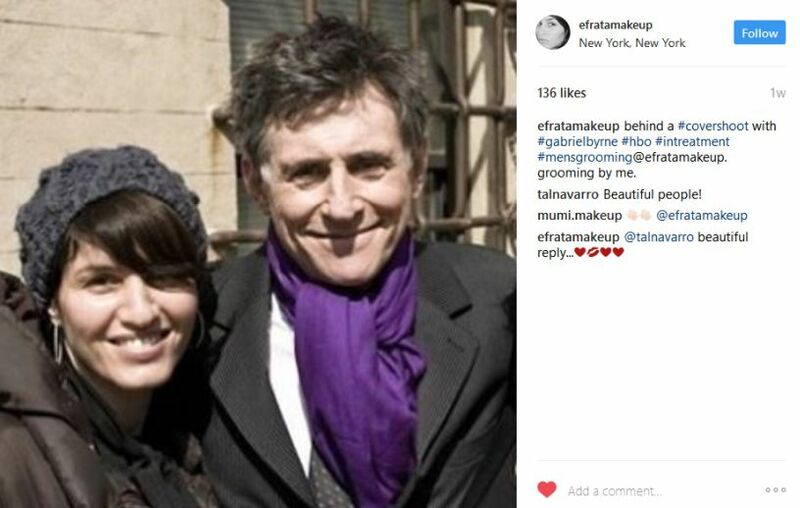 In the two shots below, we learn that the famous purple scarf from Gabriel’s photoshoot with Rainer Hosch for Venice Magazine back in 2009 is actually a pashmina belonging to the person who did his make-up for the shoot! Next up, a behind-the-scenes shot featuring Emmanuelle Devos and Gabriel in Just A Sigh. Celine Nieszawer provided several hi-res images from the film while it was in production which delighted us, but this one is new! 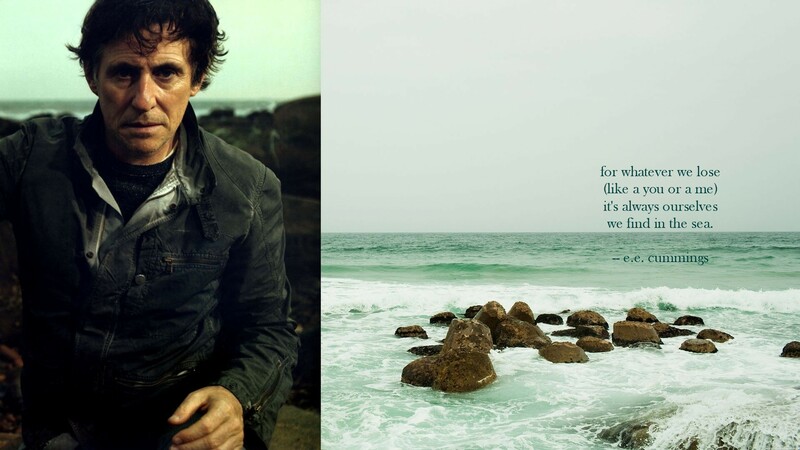 Thank you Stella for sharing all these informations and wonderful photos of Gabriel Byrne. 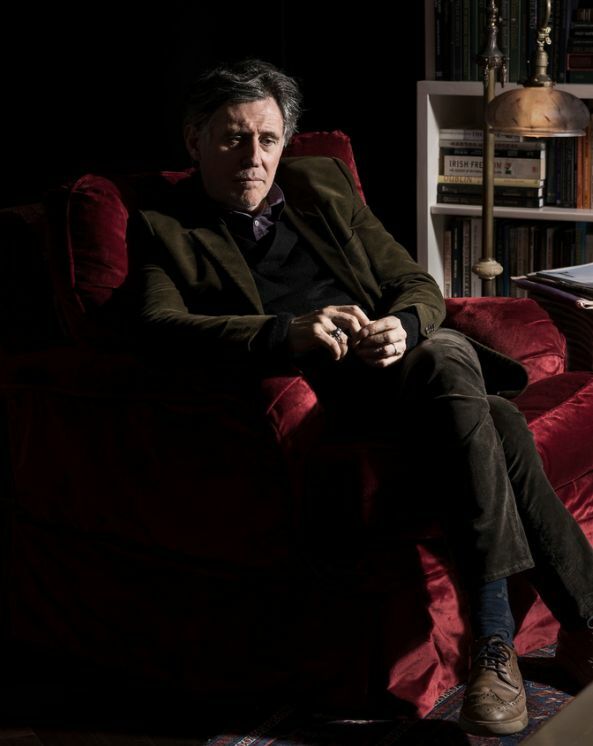 I must say that Kim Haughton’s portrait with Gabriel Byrne is stunning. It captures Gabriels thoughtful spirit in an excellent and gorgeous way. I just love that portrait! An L.A. Minute is a movie I am very interested in. Hope to hear more about it later, and to see it some time in the future. Thanks for wonderful wallpapers Stella! Glad you enjoyed the news. And now there is newer news, with the announcement today of Gabriel’s latest film. He just never stops–and that is wonderful!